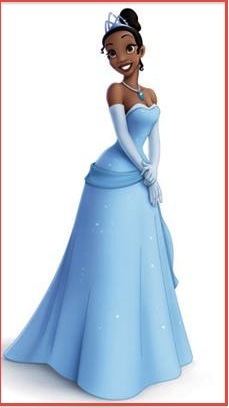 This is “Princess & the Frog” week, a movie starring Disney’s — or any other studio’s for that matter — first African American princess. The US got a African-American President before Hollywood was willing to accept a female beauty outside the mainstream norm. That is how entrenched standards of beauty are. The famous African-Americans who, despite choosing to identify themselves as “black,” physically are more Caucasian in looks since most are hybrids as 14 and I call them (as we will have someday ourselves), i.e. Halle Berry, Thandie Newton, Beyonce, Alicia Keys, etc etc etc. There is no problem with this since entertainment, art, modeling, and such industries have to do with aesthetics. It’s only a problem when that’s the only aesthetic and it comes to define “beauty.” Beauty in any country is a rare commodity and a prerequisite as much as talent if not more. But beautiful American women and men of Chinese or Egyptian or Iranian descent are vasty different and would make any audience member swoon equally as much. Exhibit A, Gong Li. Exhibit B, Iman. The list goes on. There is a Top Model Ghana for a reason. Just saw a wonderful Dove ad and online film (view here) encapsulate the pressures that a girl, as well as a teen and woman faces. Add to those pressures genetically impossible features which a majority of the non-Caucasian world doesn’t have. Add to that, professions built on those cookie-cutter features. Your bread and butter is based on your nose and skin shade. Nor is this limited to the US or Europe. This narrow definition of beauty is found in countries such as Africa, Japan, and India, where women destroy their skin and hair with bleaching to achieve a genetically impossible ideal. Otherwise stunning models and actresses are not given as much traction or else relegated to “indie” movie halls just as “overweight” (more than a size 2) are relegated to “character roles” here. The supermodel Laxmi Menon, of Givenchy, Hermes, and H&M fame, did not get fame and success until she left India’s borders since she is “dark” for Indian standards. This foray into a new beauty by Disney is hopefully a harbinger of more movies where beautiful women of all types are cast — and more important, seen as validation for the girls clinging to every pixel on their screens.